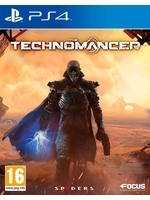 The newest trailer of The Technomancer shows us the game's environments and its dangers. The RPG from Spiders and Focus will release this Summer. Reminds of Riddick Escape from Butcher Bay for some reason. Looks promising. Good god, is it bamco publishing or something? What's with teh music? I'm not sure what to make of this. I kinda like the idea behind how the game looks, i just don't think they pulled it off in a very interesting way. I see this and think how cool it'd be if a good studio made a game based on the Dune universe (think Kotor, not a direct adaptation). 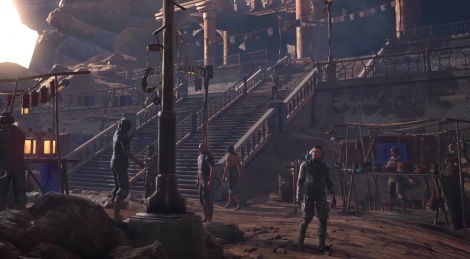 I kinda like the idea behind how the game looks, i just don't think they pulled it off in a very interesting way. I see this and think how cool it'd be if a good studio made a game based on the Dune universe (think Kotor, not a direct adaptation). Agreed. I like the idea of the universe...not too sure about the execution, but i'd love to see something Dune-ish.